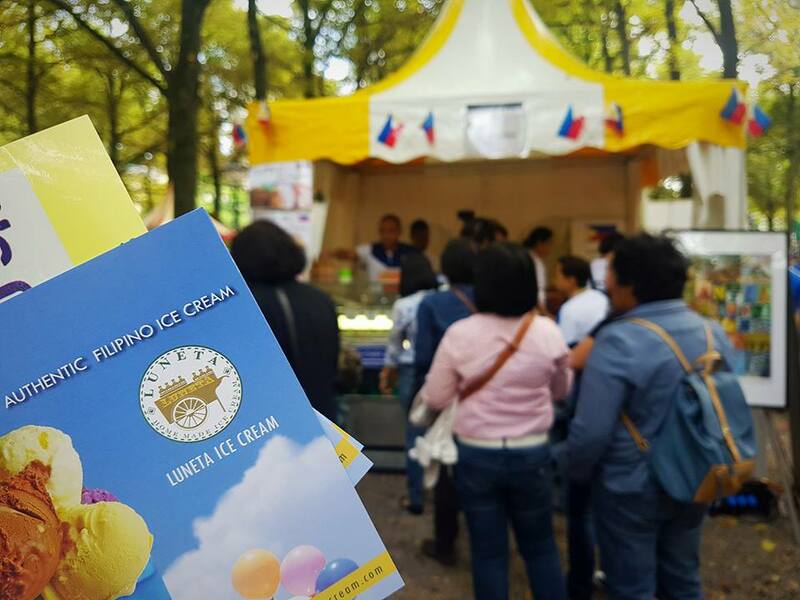 Philippine Embassy, The Hague participated in the Embassy Festival on 03 September 2016, held at Lange Voorhout, The Hague, The Netherlands. 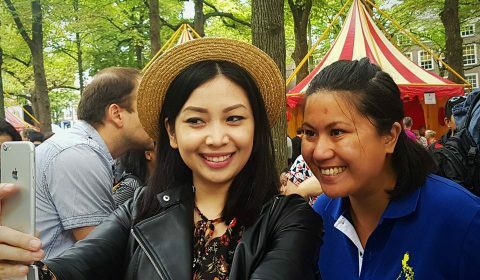 This one-day festival is an annual event for the diplomatic community that highlights the different cultures in The Hague through various activities in music, arts, dance, and cuisine from the different countries. 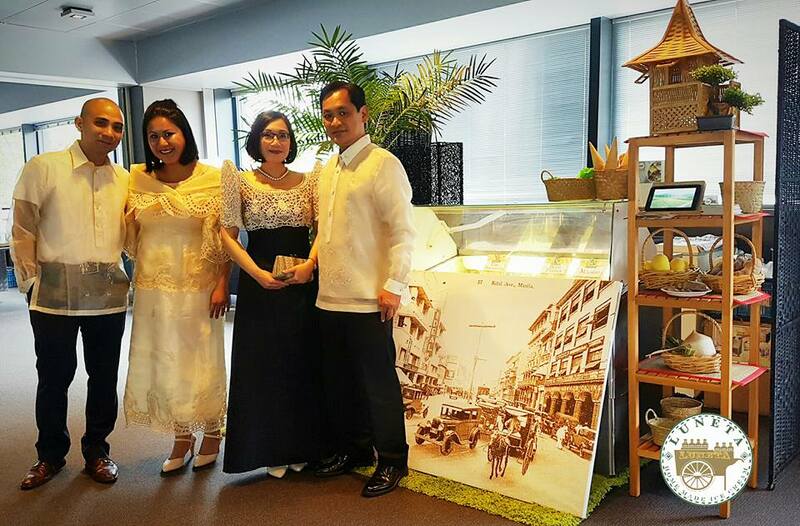 With its theme “Lifting Global Culture”, the Philippine Embassy participated in the festival for the fourth consecutive year, promoting tourism and our rich culture to the people living in The Hague and its environs. 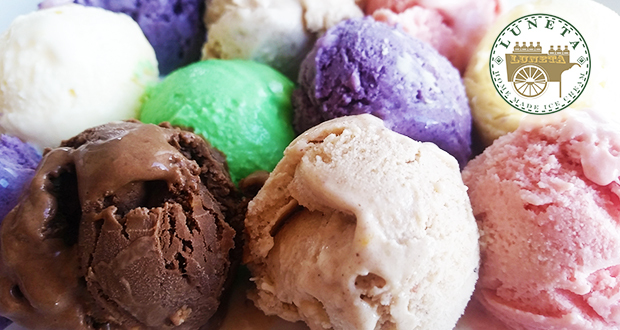 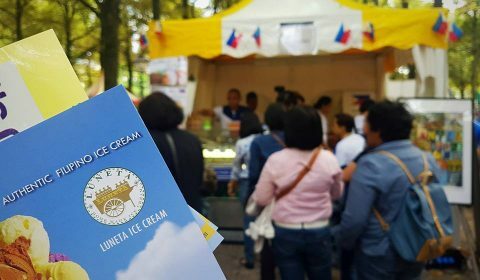 This year, distinct Philippine flavours such as calamansi, pink guava, buko pandan, maja blanca, ube macapuno, Philippine mango and halo-halo were showcased at the Philippine pagoda by local vendor Luneta Ice Cream with its home-made traditional and “deep-fried” ice cream. 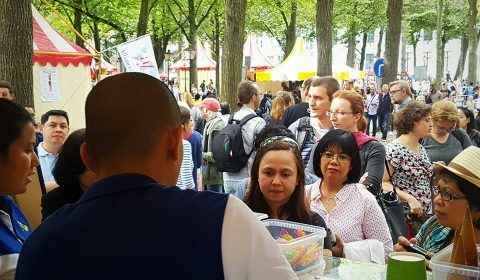 About 35,000 visitors came to the Festival and enjoyed the sights and sounds of fifty (50) cultural performances and delightful cuisines participated by forty-three (43) embassies in The Hague. 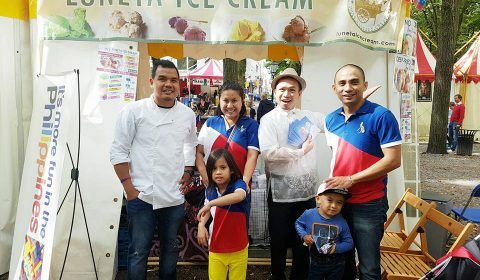 Visitors, both local and Filipinos, enjoying Luneta Ice Cream’s home-made and “deep-fried” ice cream.